The Asus Nexus's 8GB Wi-Fi only variant has been spotted online on Indian shopping website as a forthcoming item. The Nexus 7 16GB is officially available via the Google Play store in India for Rs. 15,999. Asus also launched the 32GB variant of the 7-inch tablet for Rs. 18,999. The Wi-Fi 3G variant of the 32GB Nexus 7 is priced at Rs. 21,999. The entry-level 8GB variant of the tablet has been spotted online on saholic.com. There is no launch date or price mentioned. The tablet is listed as a forthcoming item. It is nice to see the entry-level Nexus 7 launching in India as it will take on some of the budget tablets and give them a run for their money especially if the tablet is priced around the Rs. 10,000 mark. On the other hand the biggest downside to the 8GB Nexus 7 is that it does not support expandable storage, which means that you are limited to 8GB. 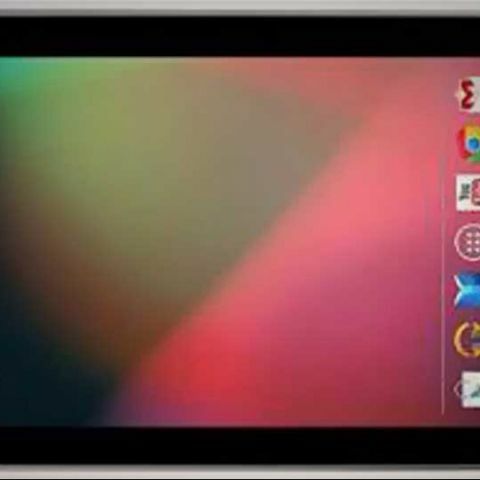 The Google Nexus 7 runs on Android 4.2 Jelly Bean. The tablet has a 7-inch 1280x800 HD IPS display (216 ppi), a 1.2MP front-facing camera, 1GB of RAM, a 4325mAh battery, apart from Wi-Fi and Bluetooth connectivity. It is of course, powered by the 1.3GHz quad-core Nvidia Tegra 3 processor. If you are in the market to pick up a budget tablet, you can take a look at our list of top 10 budget tablets. If a powerhouse quad-core tablet is what you are looking for then check out our list of the 8-quad-core budget tablets currently available in the Indian market.